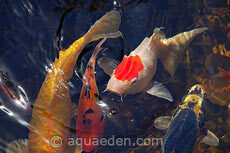 Aqua Eden is an award-winning, professional pond construction and pond supply company. We are based in the city of Faribault, Minnesota. Faribault is conveniently located within 45 miles of many major Minnesota cities including: Mankato, Rochester, Minneapolis, St. Paul, and Red Wing. Our ideal location allows us to provide affordable pond construction, pond design consultations, and disappearing pondless waterfall installations. Aqua Eden also helps educate the do it yourself pond builders with numerous pond installation seminars, backyard waterfall installation techniques, and online technical pond support. 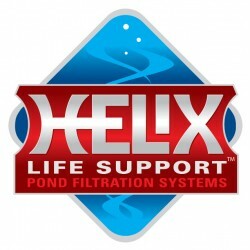 We also offer pond supplies, pond kits, disappearing pondless waterfall kits, hybrid koi pond kits and pond construction equipment for residents in Minnesota and all across the country. We have seen first-hand how a quality installed pond or waterfall can greatly enhance the enjoyment of life. Imagine the soothing sounds of running water, the soft glow of underwater lights at night, or being hypnotized by swirling, vibrantly-colored Koi fish for hours. All of this can be in your very own backyard pond or waterfall paradise! Plan your water landscaping project for 2017 TODAY! Now is the perfect time to PLAN your 2017 backyard water landscaping investment. Set up a DESIGN CONSULTATION and Aqua Eden can present you with a detailed water landscaping presentation – right from the comfort of your own home. Our backyard pond and waterfall installation schedule in 2017 was busy. So far 2018 is shaping up to be even busier! For more reason why you should start to plan your backyard waterscape paradise today, visit our WATER LANDSCAPING FOR 2016 page. Why should you choose Aqua Eden? We do not mow lawns, we do not install sprinklers, we do not sell hot tubs. We do what we do best – Create Waterscape Environments That Enrich Life. We set-up a local network of landscape designers, landscaping companies, sprinkler system installers, hardscape craftsman, electricians, etc. We let them do what they do best. 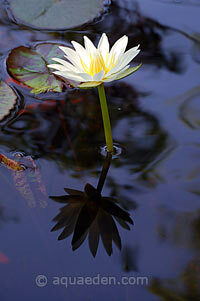 This allows us to focus strictly on the constantly evolving culture of water gardening. This symbiotic relationship with other specialized companies ensures the customer will have the highest quality components at all levels of their backyard landscape. Aqua Eden is inspired by nature. We spend much of our time going on hikes, bird watching, and canoeing. This allows us to get a first-hand look on how mother nature moves water through the landscape. We take detailed notes and numerous pictures of natural waterfalls and ponds. Our goal is to keep people guessing if our water features were actually manmade or placed there by mother nature herself. The owner, Jake Langeslag, graduated from Minnesota State University, Mankato receiving a bachelor of Science degree in Ecology and a minor in Chemistry. While at Mankato, he took numerous courses in biology and wetland ecology. Jake has also worked for various research centers around the United States, studying everything from the behavior of birds, frogs and turtles to wetland species interactions. that they could never have a waterscape or waterfall, fearing that they were too expensive or time consuming. We have found that no single waterscape company has the best products for every aspect of water feature installation. 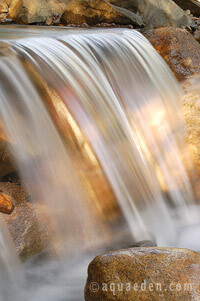 Some companies may have better pond filters, while another may supply the best energy efficient waterfall pumps. 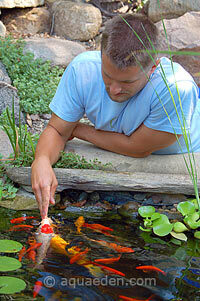 All too often we find pond installers who use only one manufacture for all of their pond installations! While Aqua Eden finds that staying updated on many different water feature products to be very time consuming, we firmly believe that this is the only way to ensure that our customers have the highest quality waterscape materials for their application and budget. feature. We will continue to educate you through numerous seminars, pond forums, free newsletters, pond tours, and other water feature events. Our goal is to create a growing community that shares the enjoyment of water.